Heyah dolls! I had to share with you all this awesome purchase I made just a few days ago! I havent even received it yet (still in transit) and all I can think about is how I'm going to style it! It happened last week when I was searching online for some reasonably priced flats (of decent quality) and figured H&M would be my best bet. While I was lucky enough to find some cute casual ones, my luck ran out when it came to sizing. Since I was there anyhow I decided to continue browsing the site. With absolutely no intentions of making a purchase whatsoever (apart from flats) I scanned through and thats when this gem decided to say hello! I have wanted a fringe skirt for a little while now so when I saw this baby I just knew I had to adopt her and give her a home. A part from the fringes itself my other favourite thing about this skirt is the waistband. The way in which the material is woven reminds me so much of what I've seen from the Balmain Fall 2014 collection- another reason I couldn't resist! Fringes are really hot this season; from NYC to Milan, the fashion week series saw a bevy of frolicking fringes shwishing between shows, Olivia Palermo and Shiona Turini among the culprits. 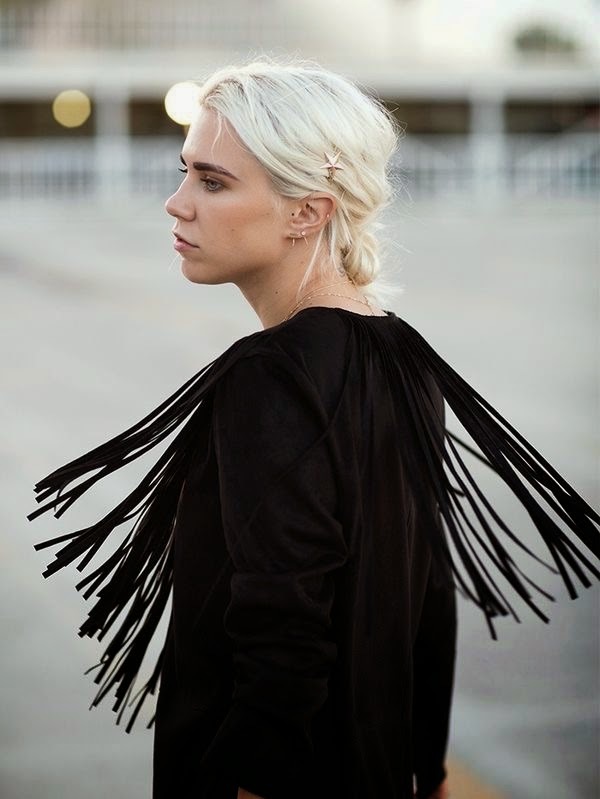 Seriously, these street style pics have me craving fringes! It's a no brainer- no matter what form; skirt, tops, jackets dresses, bags or accessories, fringes are those added elements of chic that instantly turns an outfit into a girly and playful statement. I absolutely love them -especially for fall since with the sea of dark colours typical of the the season, fringes can edge out some of the austerity and add all sorts of fun! 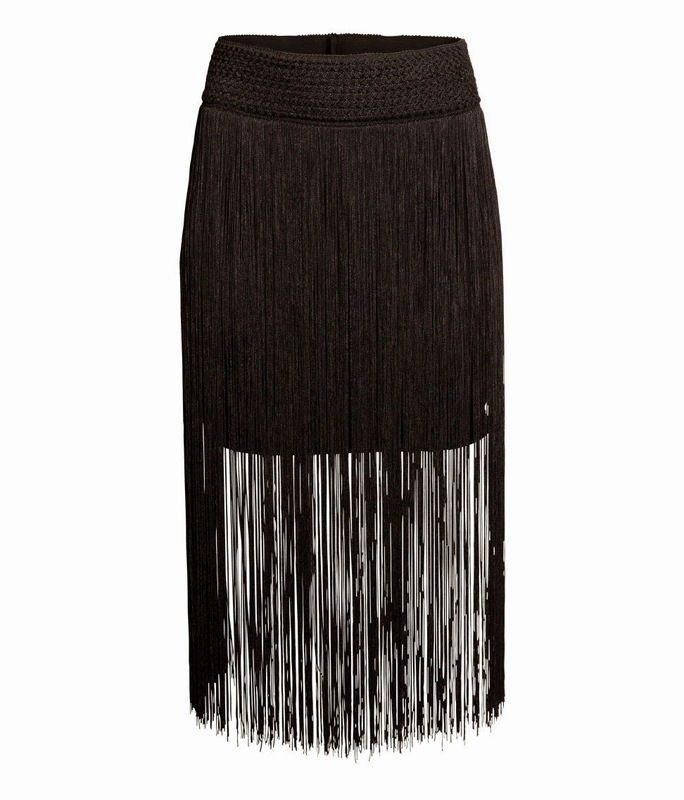 Can you think of a garment that conveys 'life of the party' better than fringes does? LOVE fringes at the moment, they are totally back ! YesyesYES. I am on a plane right now and just finished reading Elle. The one I have dogmarked is the one on fringes (although if you watch project runway, you'd note that Tim Gunn haaaates fringe haha). Beautiful skirt! I'm loving fringe this season! That blue pencil skirt is super cute! i am obsessing over this trend right now ! My pleasure! Still over here crushing on your blue trousers lol! Fringes are such a fun addition to any outfit :) when I was in New York for Fashion Week, I spied many people who were totally rocking them.